Allergan shares dropped sharply Tuesday after the U.S. Treasury announced new policies that threaten Pfizer's takeover of the Ireland-based Botox maker. The pending $160 billion merger between Pfizer (PFE) and Allergan (AGN) is the second-biggest takeover of all time, according to Dealogic. The massive deal, announced in November, would see New York-based Pfizer shift its headquarters to Ireland, a move that could reduce its tax bill. The structure is emblematic of the "tax inversion" deals that have become popular in recent years. Treasury rules announced Monday will clamp down on companies that try to reduce their tax bill by merging with foreign firms. Worried investors immediately pushed Allergan shares down by about 16% on Tuesday, wiping away roughly $18 billion from the company's market capitalization. Pfizer shares edged up by about 1%. Pfizer and Allergan said Monday that they would review the new rules, but would not "speculate on any potential impact." But analysts warned the deal is now in jeopardy. "This regulation will effectively kill inversions, probably including the Allergan-Pfizer deal," said Greg Valliere, chief global strategist at investment adviser Horizon Investments. 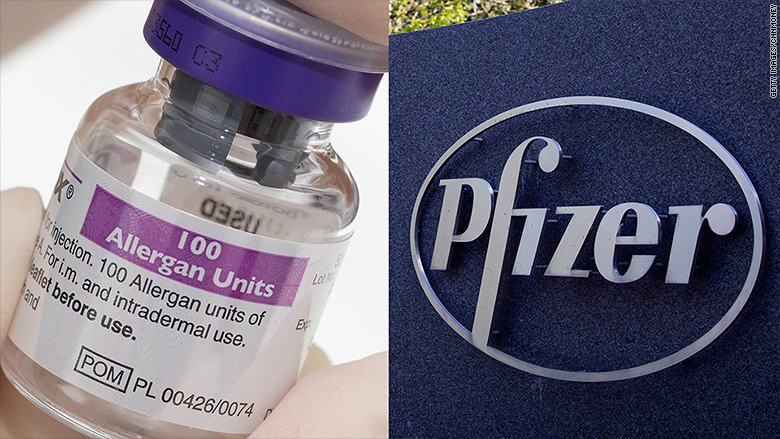 Investors are concerned the planned takeover deal between Pfizer and Allergan could collapse. 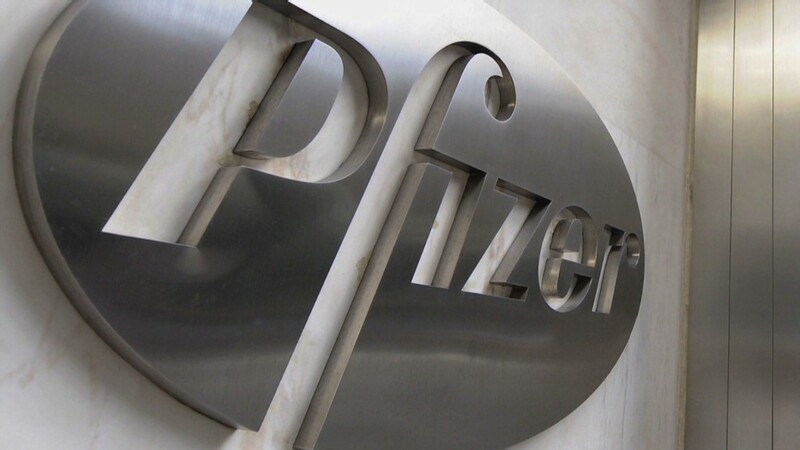 Pfizer has been openly critical of the U.S. corporate tax system. In 2014, it tried unsuccessfully to acquire British drug maker AstraZeneca (AZN) and it didn't hide the fact that tax savings were one of the main drivers. Treasury Secretary Jack Lew did not mince words when he talked about the problems of corporate inversions on Monday. "Many of these companies continue to take advantage of the benefits of being based in the United States -- including our rule of law, skilled workforce, infrastructure, and research and development capabilities -- all while shifting a greater tax burden to other businesses and American families," he said. Correction: An earlier version of this story incorrectly stated the size of the Pfizer-Allergan deal.